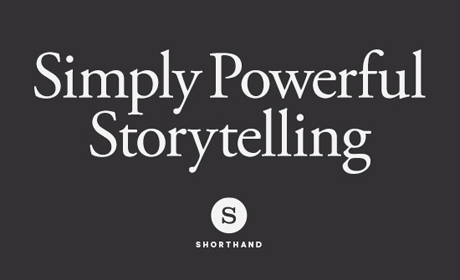 We’re delighted to announce Shorthand, a platform for the creation of interactive storytelling, as the latest sponsor of Journalism.co.uk’s digital journalism conference news:rewired. Shorthand, which aims to simplify the process of producing full-impact multimedia stories, is working on building a public tool said to be “currently in private beta”. It has, however, already worked with a number of news outlets, including the Guardian earlier this year, and just this month ESPN.co.uk for their yearly look back at key sporting moments. At news:rewired Ben Fogarty, chief executive of Shorthand, will take part in a workshop looking at how journalists can produce immersive stories on digital platforms. He will be joined by Joseph Stashko, digital news development editor at The Times and Sunday Times, which recently published My Year With Malala, a long-form feature which signaled a move towards a “suite of tools” to support this style of digital publishing. Other sessions planned for the one-day conference include a look at social media judgement and shareability, data journalism on a budget, community engagement and short-form video. The agenda is available online, and tickets are still on sale for either £130 +VAT for conference-only, or £220 +VAT for news:rewired+, which includes the conference and a three-hour practical workshop the following day. Update: This article was updated with Fogarty’s new title of chief executive.